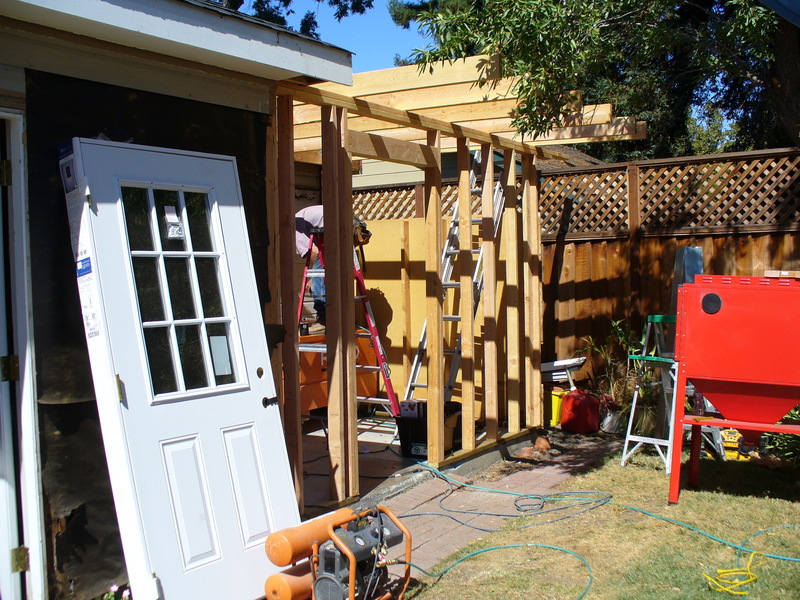 This site shows works already done, and works in progress. 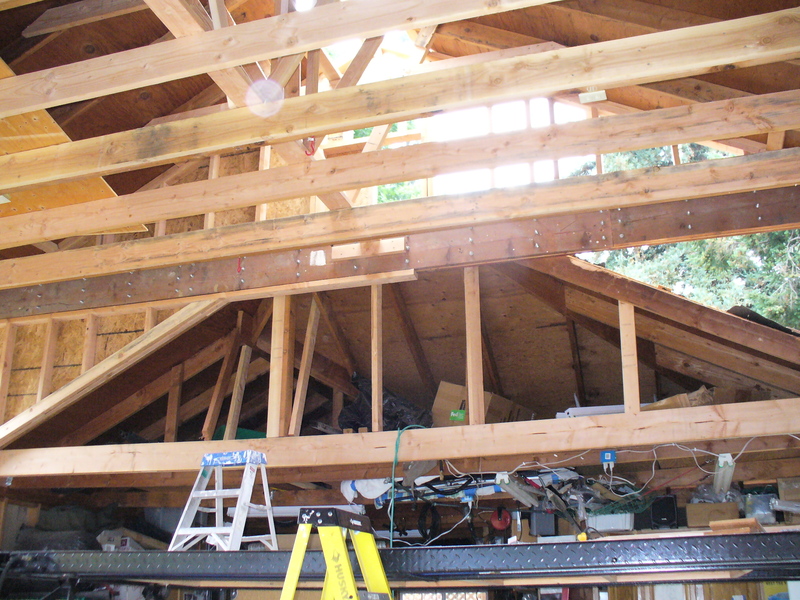 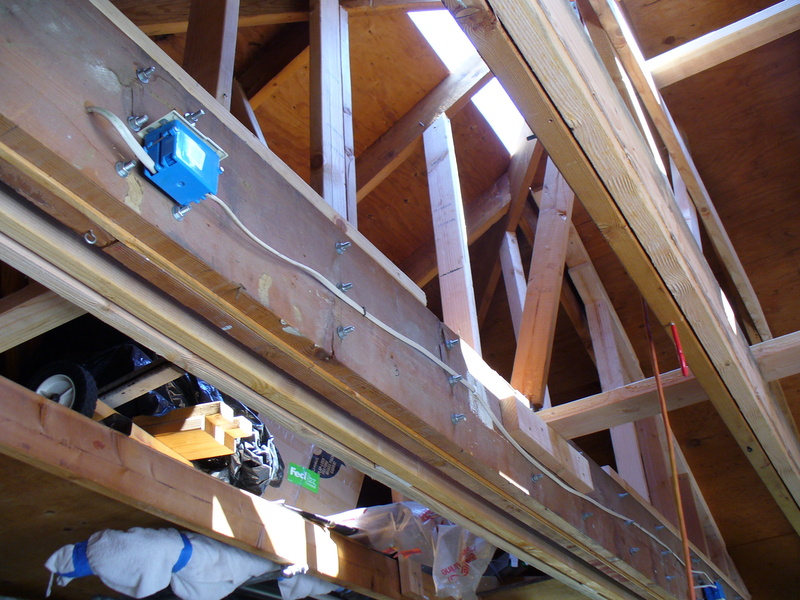 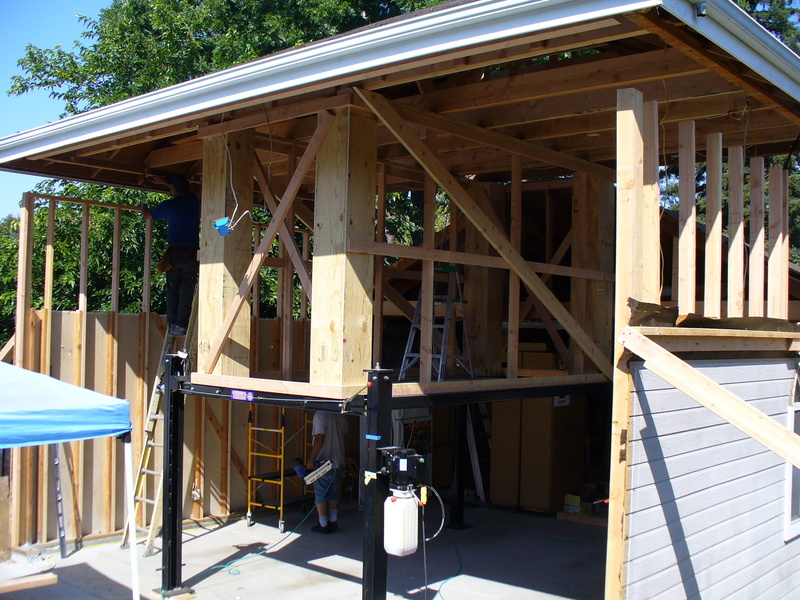 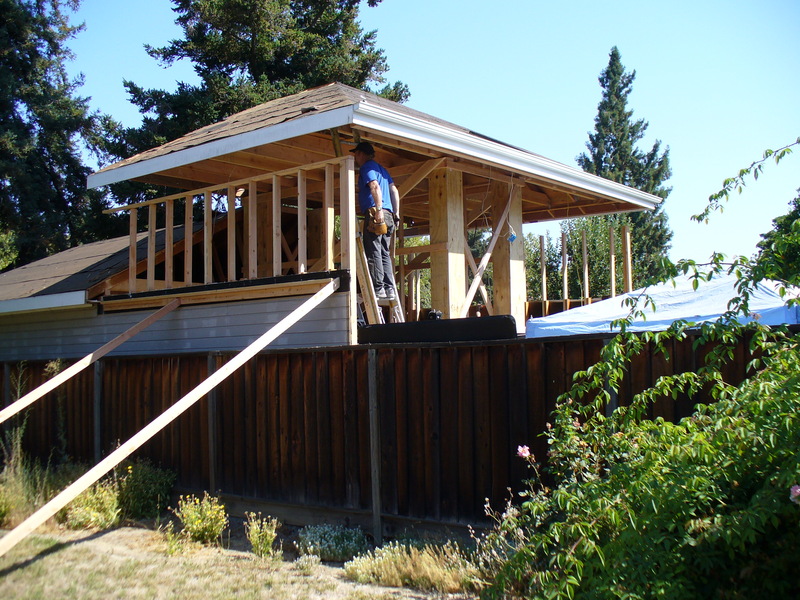 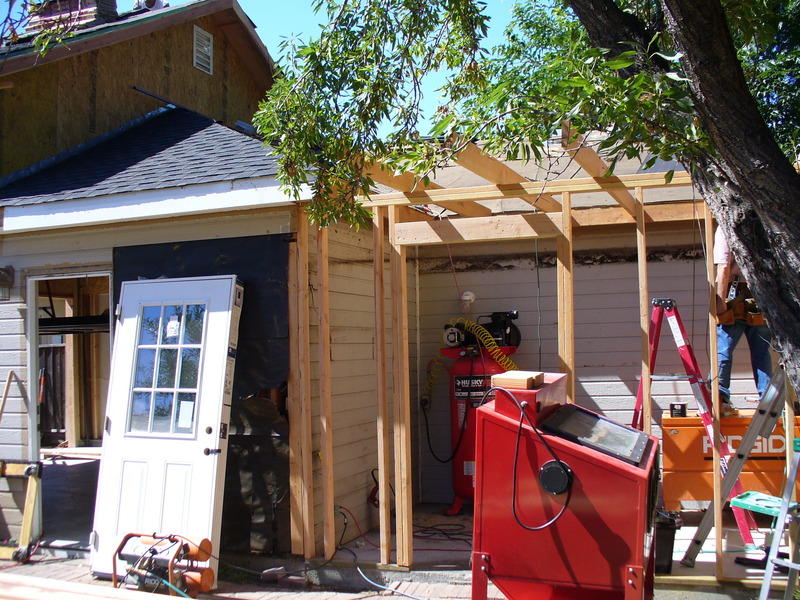 This photo shows a garage roof in the process of being lifted 4 feet above its original height...a project detailed below. 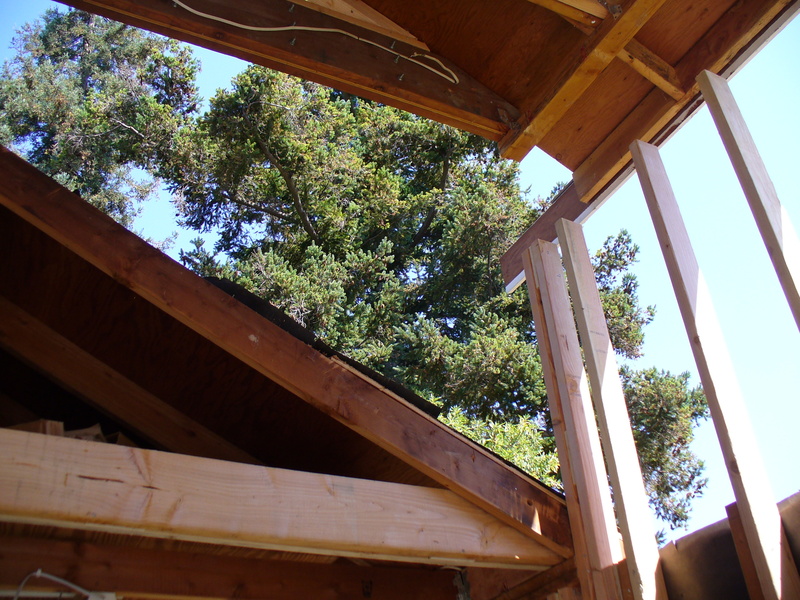 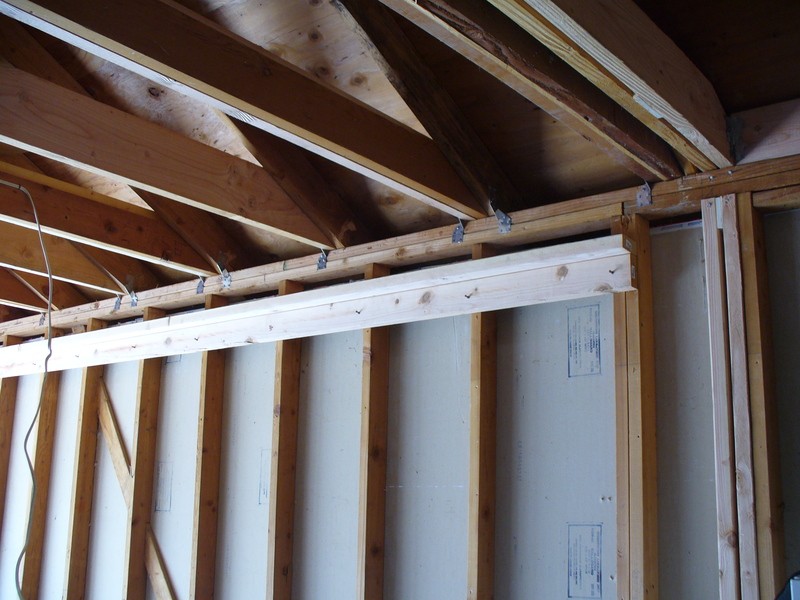 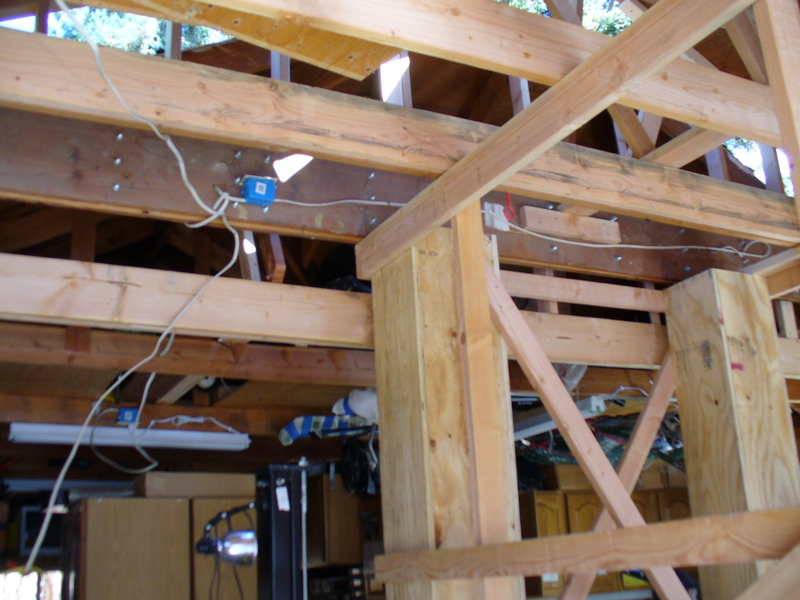 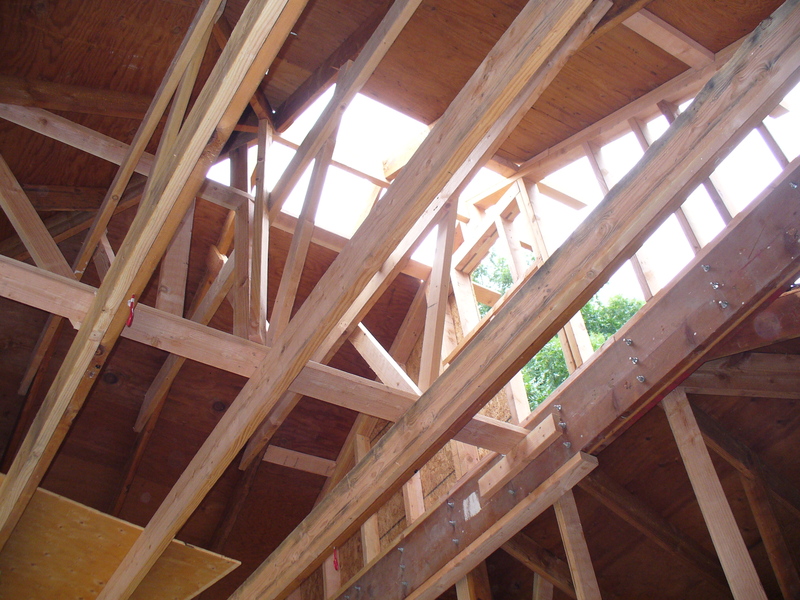 This was a job in earthquake country, requiring quite a bit of engineering that can be seen in the massive framing/restructuring. 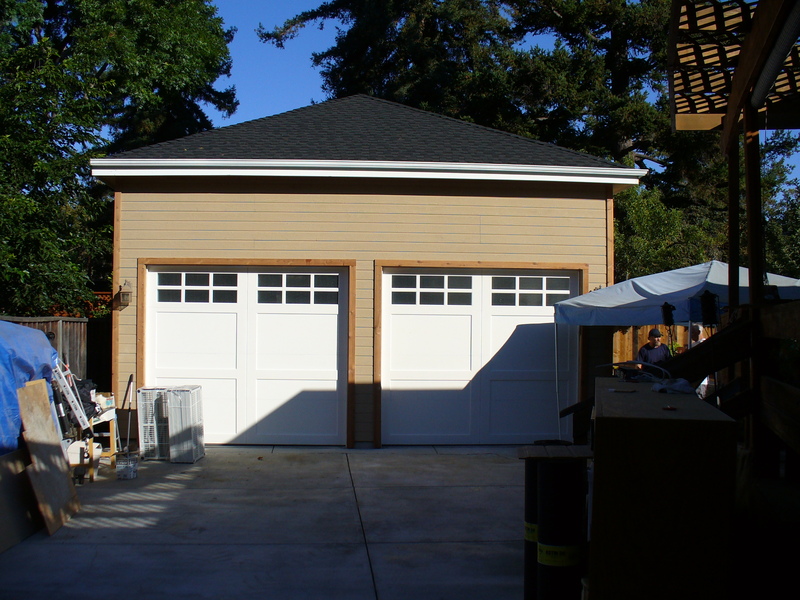 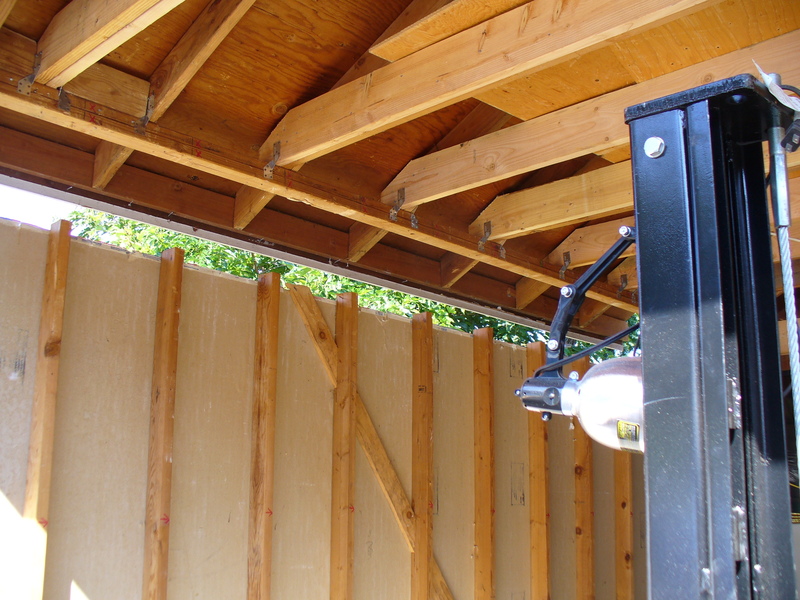 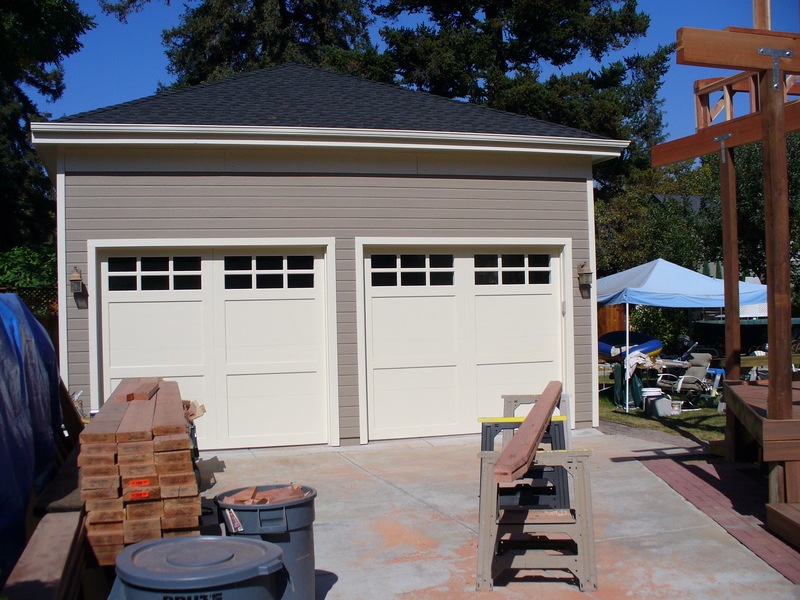 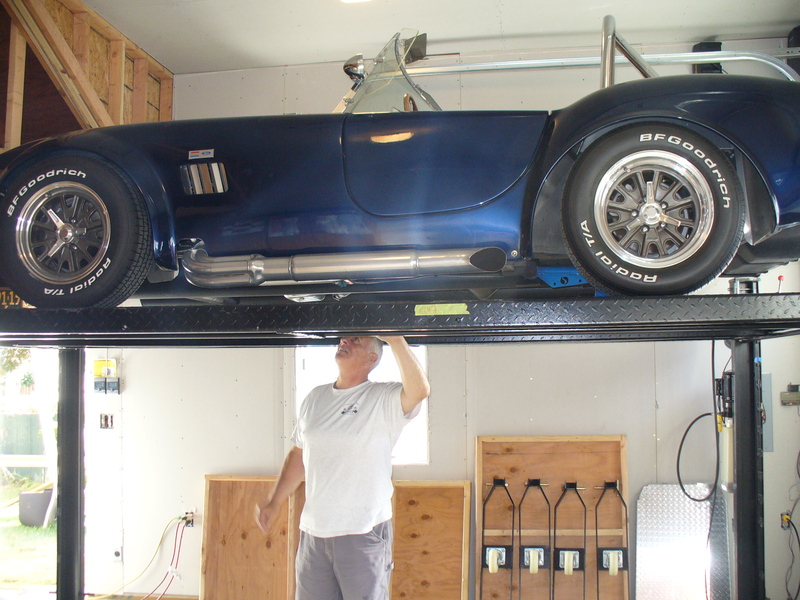 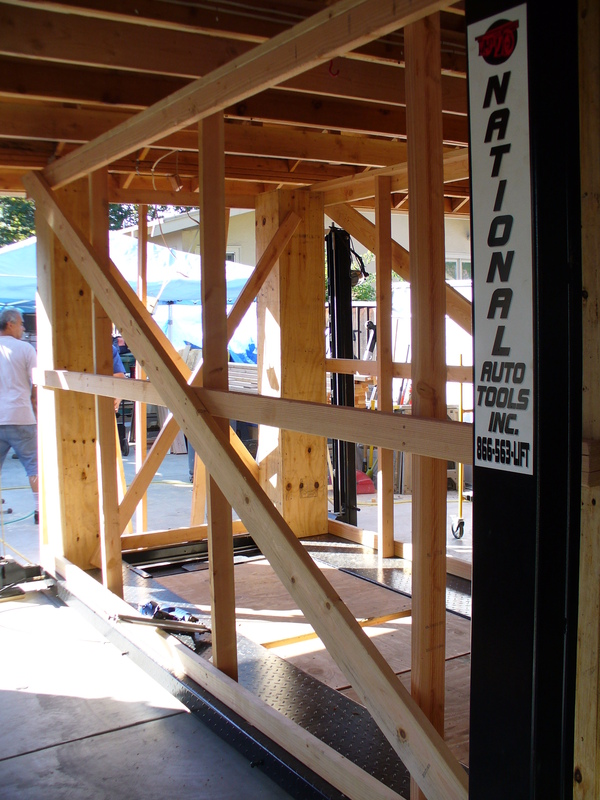 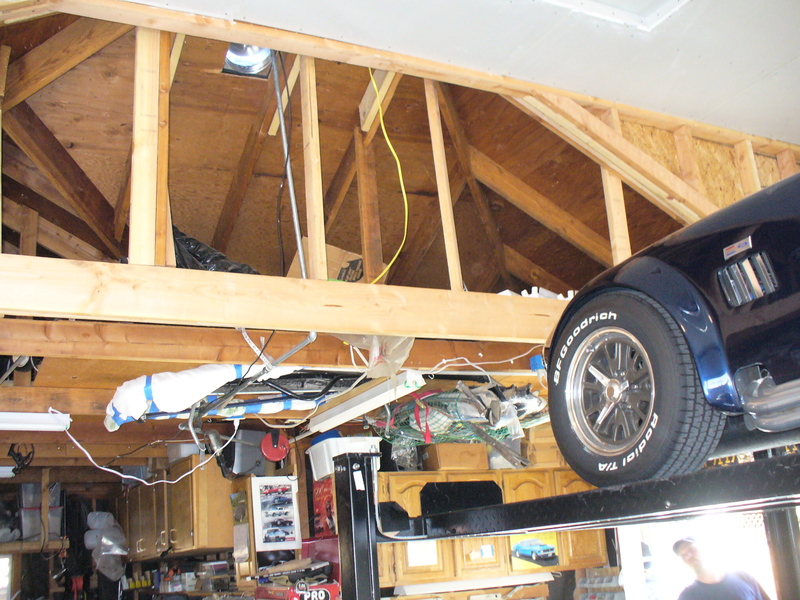 The owner (Reno) had limited parking space in his existing garage/shop space, and wanted his ceiling height to allow for comfortable stacking of one vehicle over another. 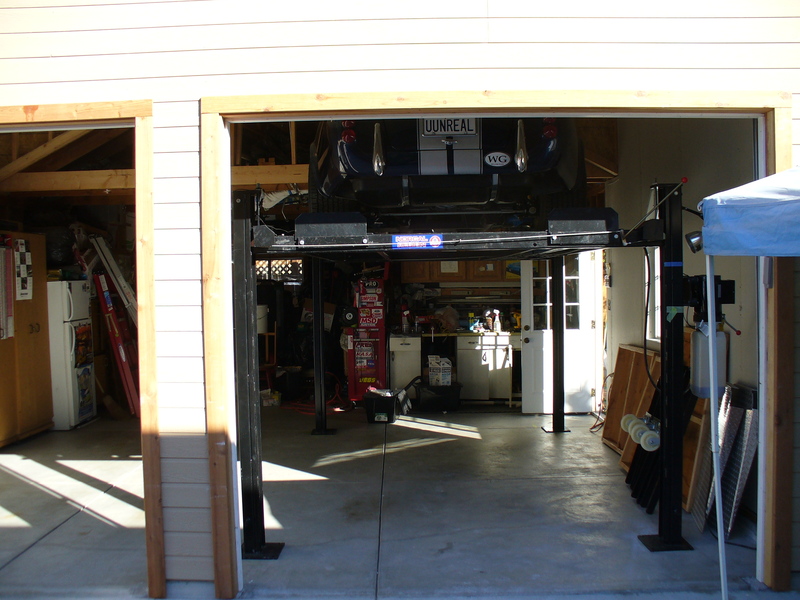 With this in mind he had purchased a car lift whose four legs were wide enough to park his BMW under the lift’s platform when raised. 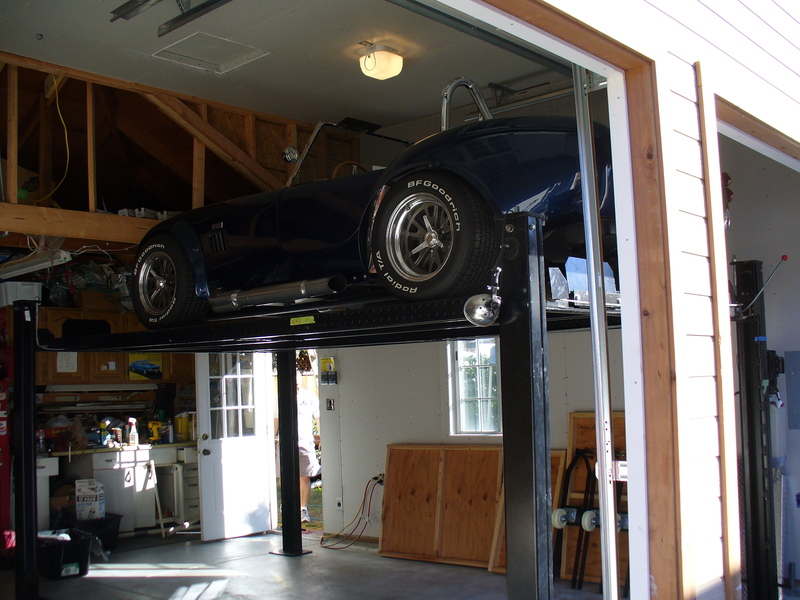 The intended vehicle to be lifted was a convertible MG, which though with smallish dimensions, when lifted for the BMW to park under it, was not high enough for comfort, either from it’s windshield to the ceiling, or from the concrete flooring to the lift’s underside when raised. 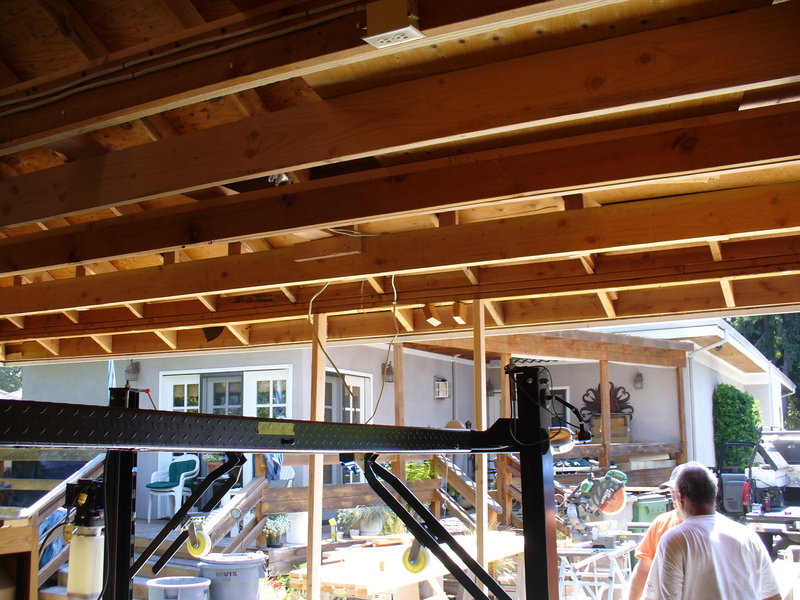 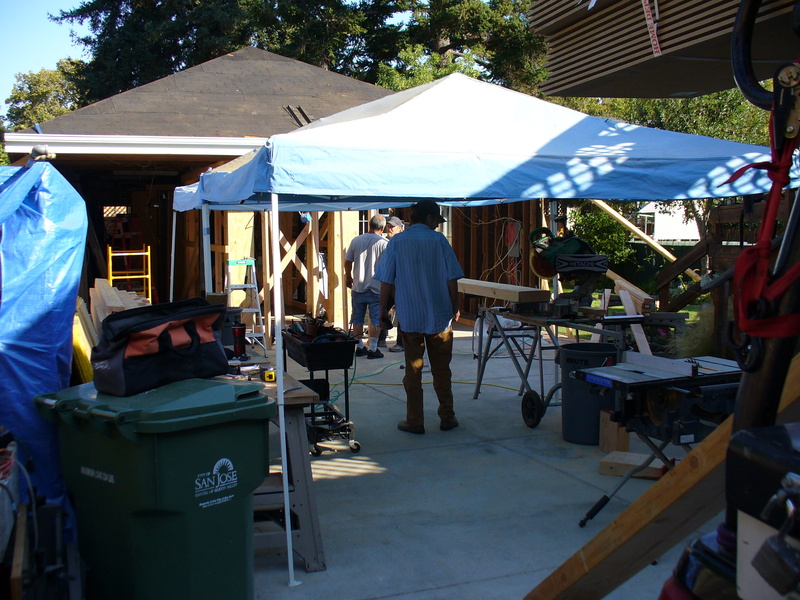 We were called in to in effect do a total structure demolition, leaving in the slab and footings, and as much of the attached shop area intact as possible. 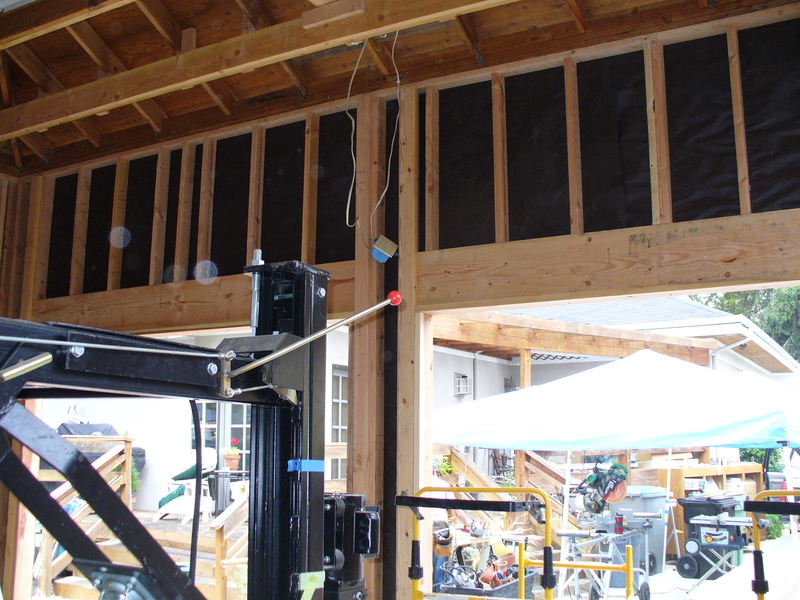 This would have been a simple job in demolition and rebuild/remodel of basically a 20’x20’ space, with a few engineering problems in tie-ins to the shop area that we were to leave intact. 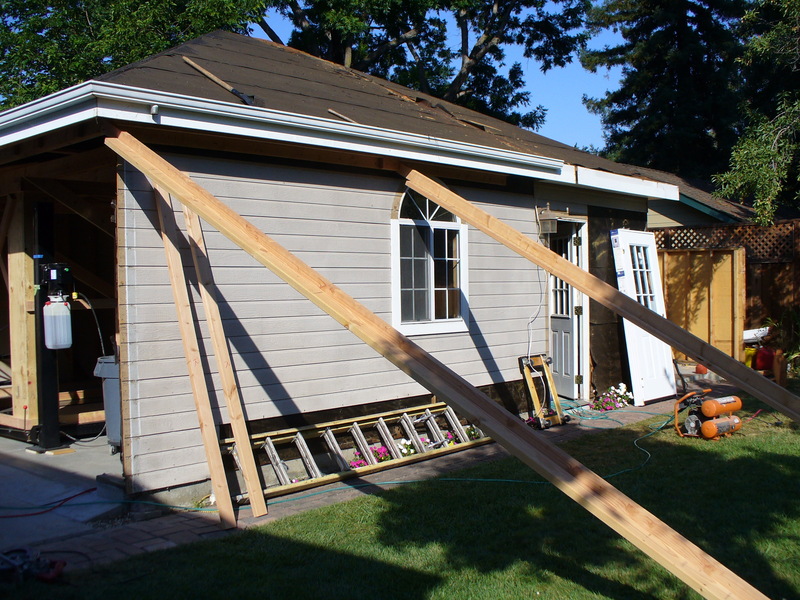 As the owner had previously had us re-roof the main house, and wanted us to also bid the new roofing on the proposed new garage and over the existing attached shop space, the idea of lifting the roof up to the Owner’s asked for elevation, instead of demolishing it and rebuilding it, began to take root, considering the lift possible without the weight of the ton or so of asphalt shingle layers. 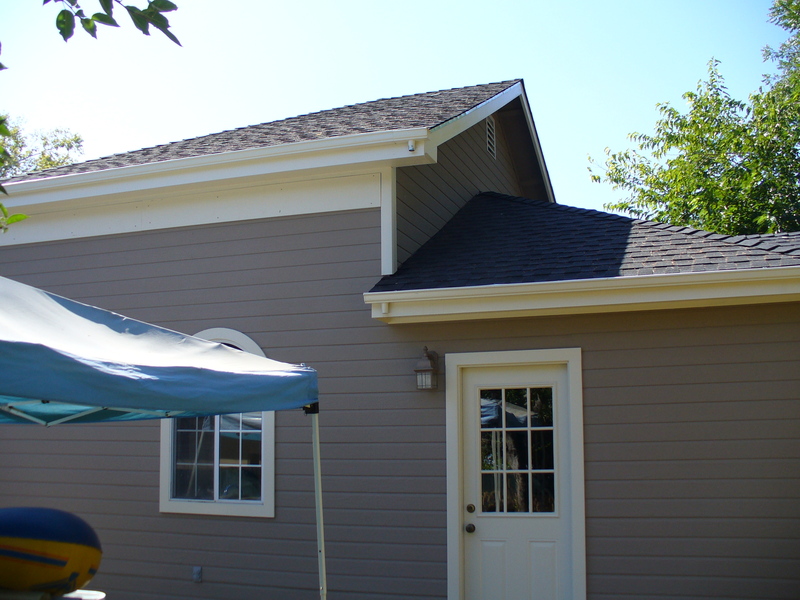 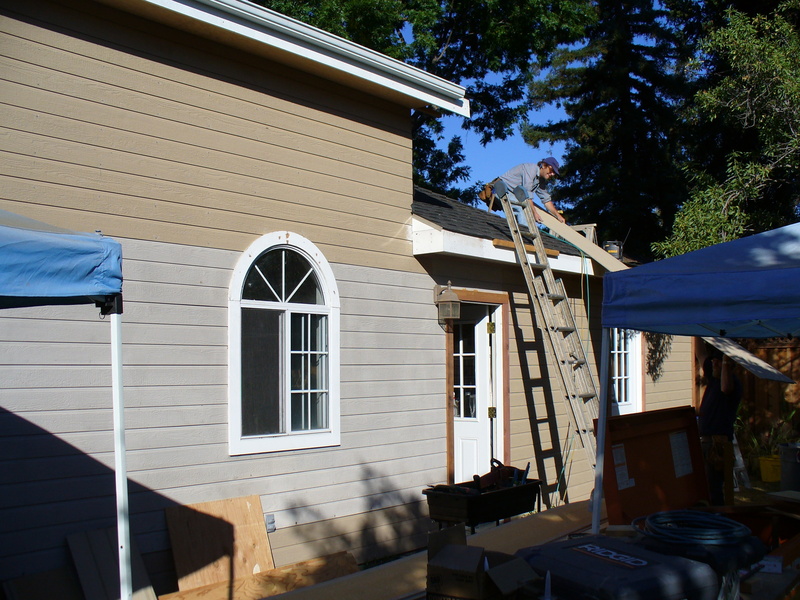 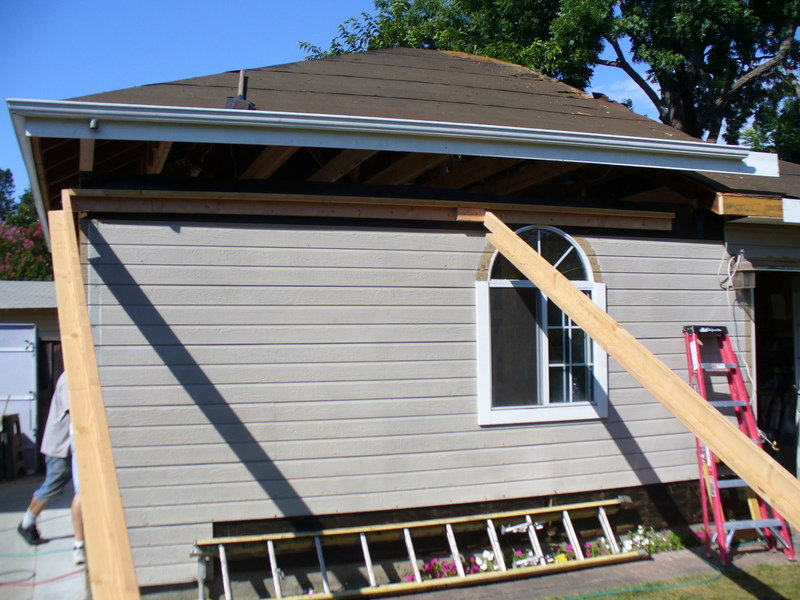 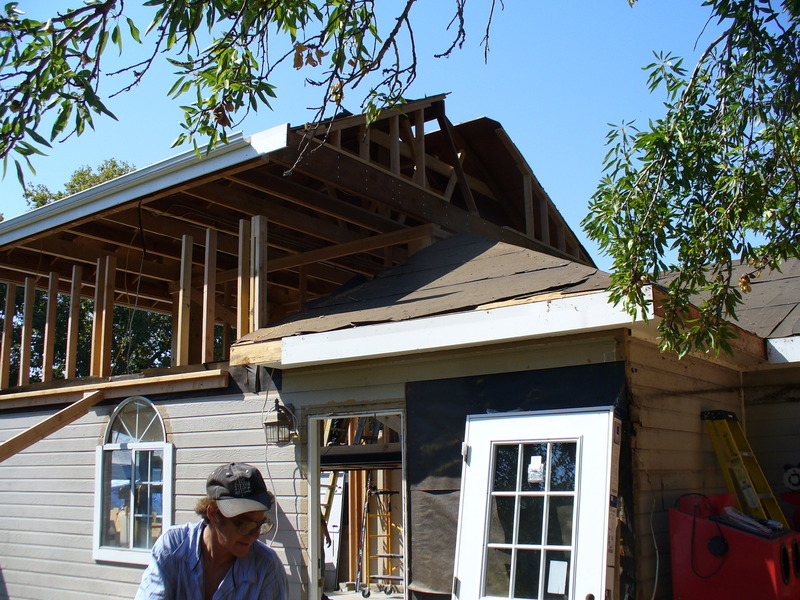 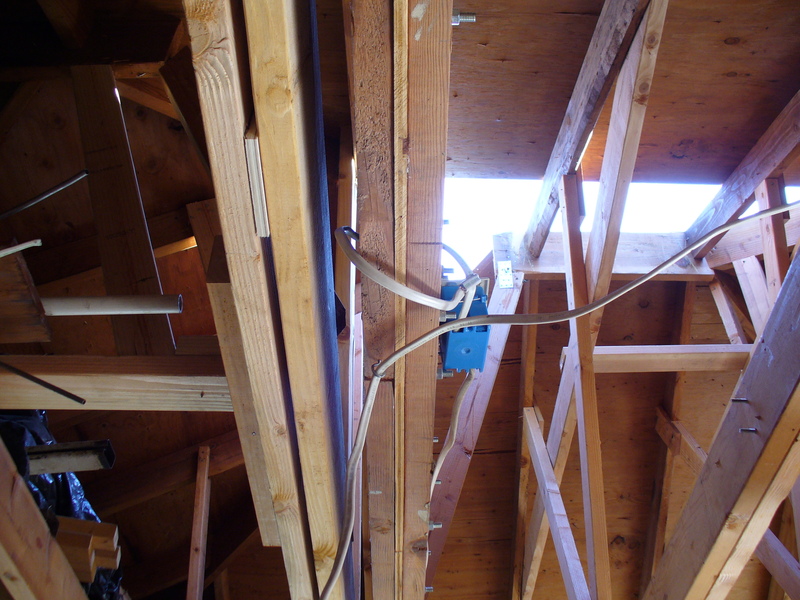 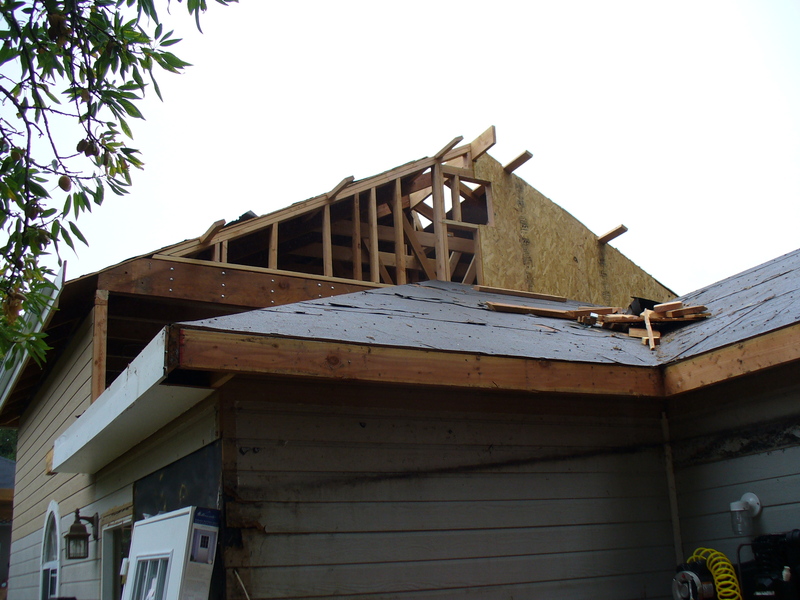 As can be seen in the photos and video, ultimately, I determined that with the stripping of the existing asphalt shingle roofing, and by leaving the existing walls in place, the entire roof from the top of studs/bottom plate up, could be lifted using Reno's car lift already on site. 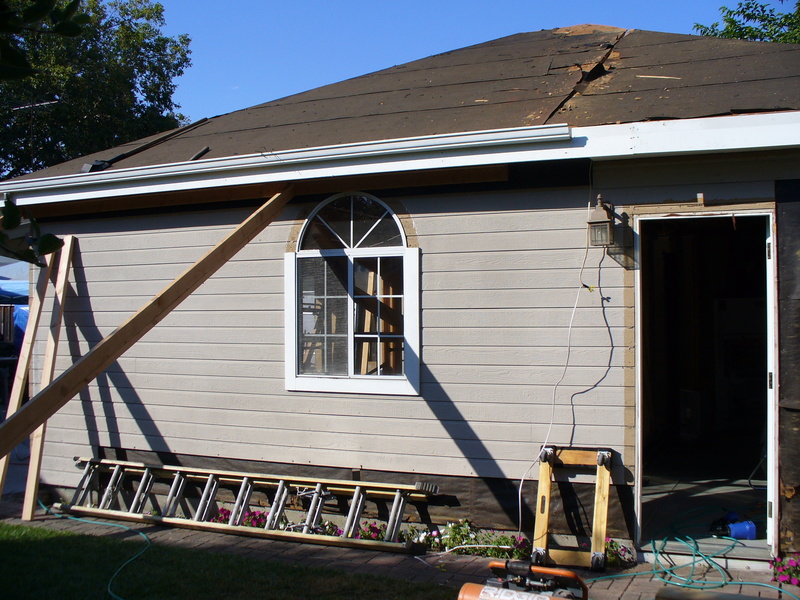 Reno was happy to offer it's use and his services as controller, especially so when the savings on demolition and a debris 'roll-off', and a total rebuild in cost and labor would about add a third to the bid/cost. 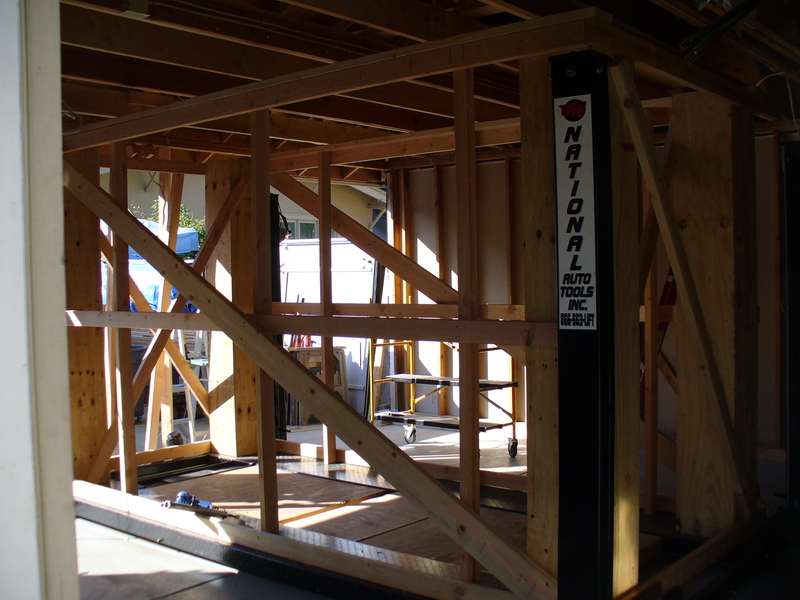 You can see in the photos that quite a bit of structural framing was involved to make sure that the tons involved would not only stay together rigidly during a lift, but would also stay perfectly in line when going straight up about five feet above the original wall height, so when lowering back down they would fit precisely upon the scabbed-in new framing elevation. 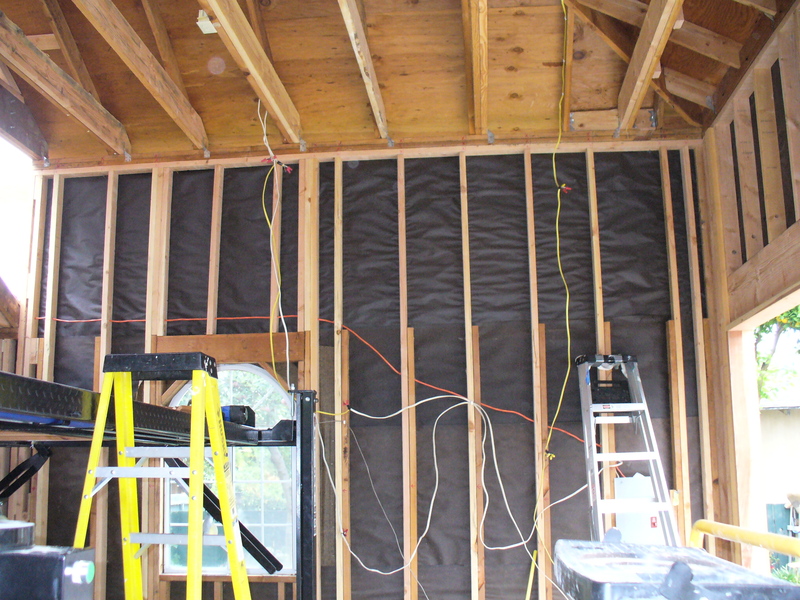 As the old wall heights from concrete footings up were up approximately 8 feet high, the new walls were four feet higher to leave Reno with a 12 foot high ceiling. 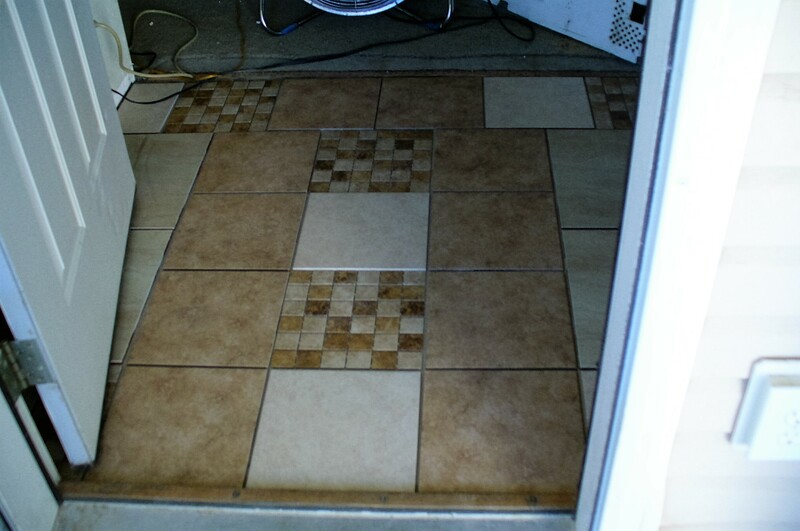 The interior tile job shown below... grew from our first thoughts of doing just a simple economical overlay of composite flooring over the existing linoleum floor. 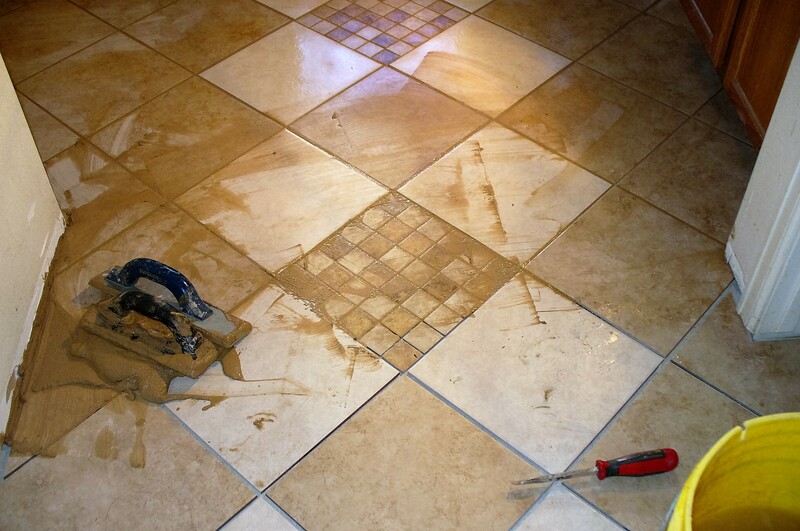 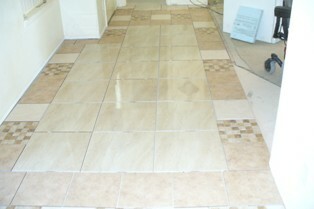 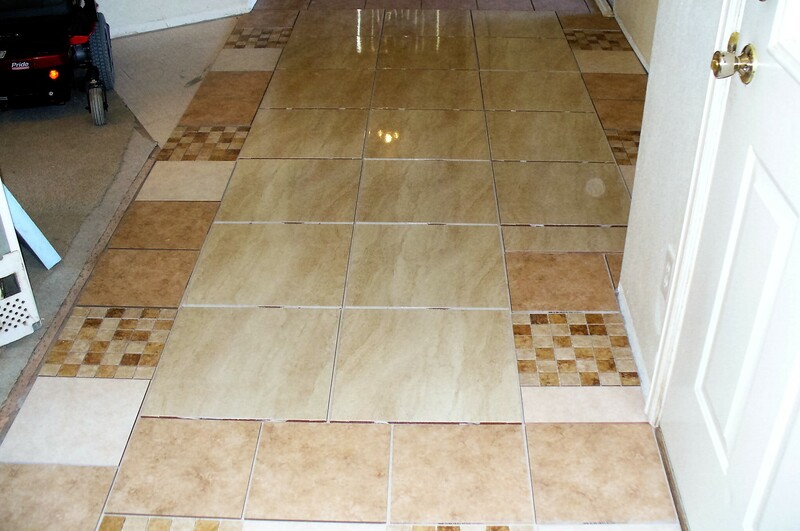 Surprisingly as material costs stand today, the cost to do the floors in nice durable ceramic tile was comparable. 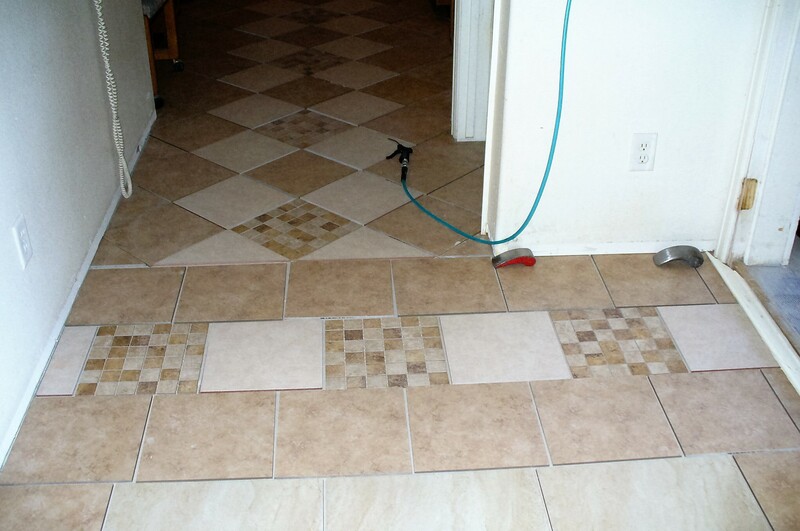 Factoring in that a finished decorative tile floor is incomparably more valuable as a property improvement, and the choice was easily made.Several different types of economical sale priced tile were used in decorative patterns, at an average cost of about $1.10 per square foot. 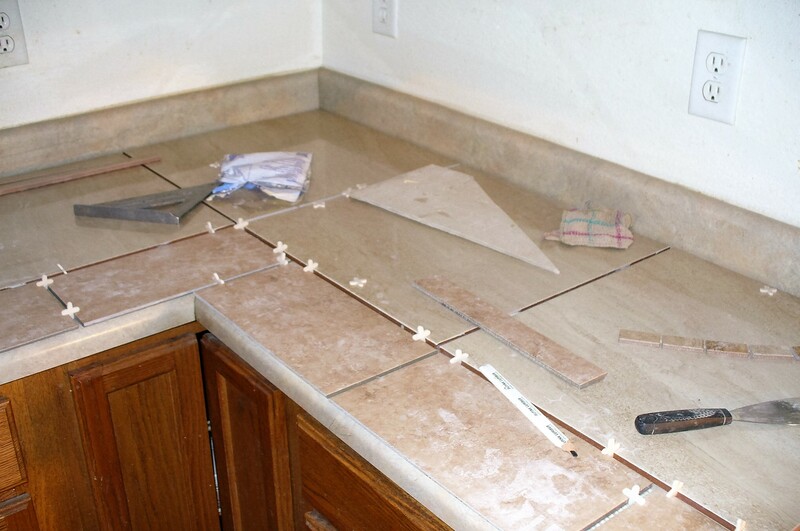 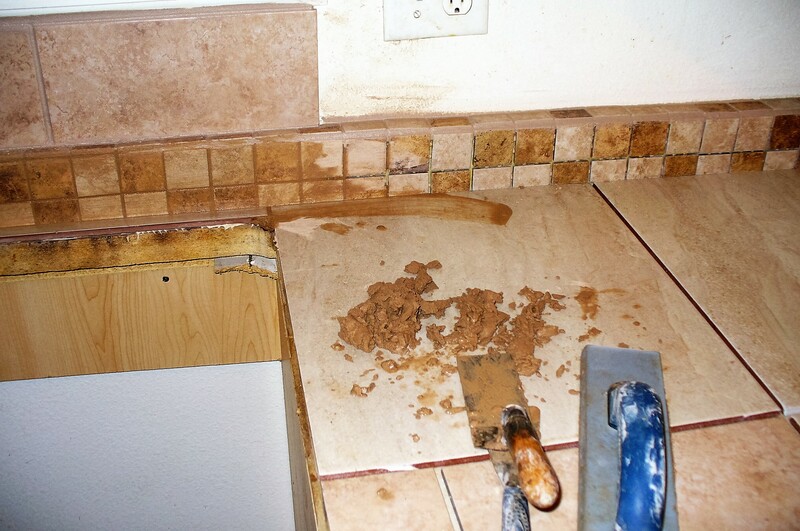 To be exact...the various tile used in whatever size and shape, ranged from $.90 cents to $2.99 for a square foot of mosaic tile like was used on the kitchen counter-top back-splash.The kitchen, dining room, hallway, and common bath wound up being done in tile. 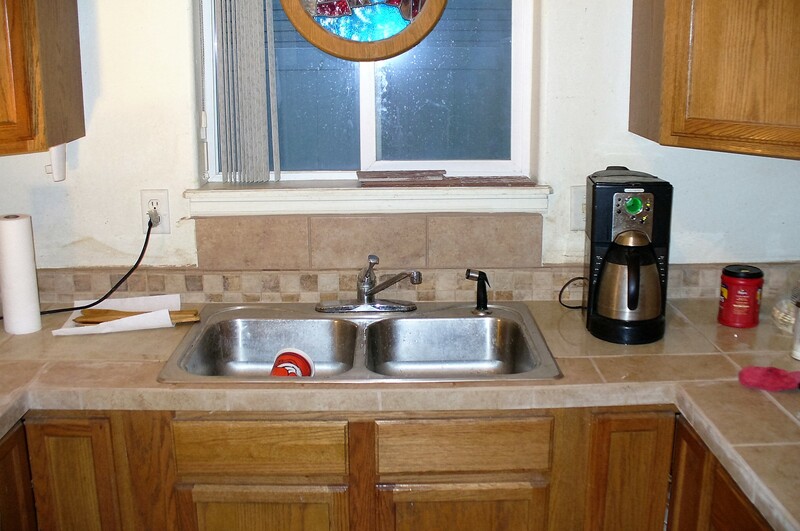 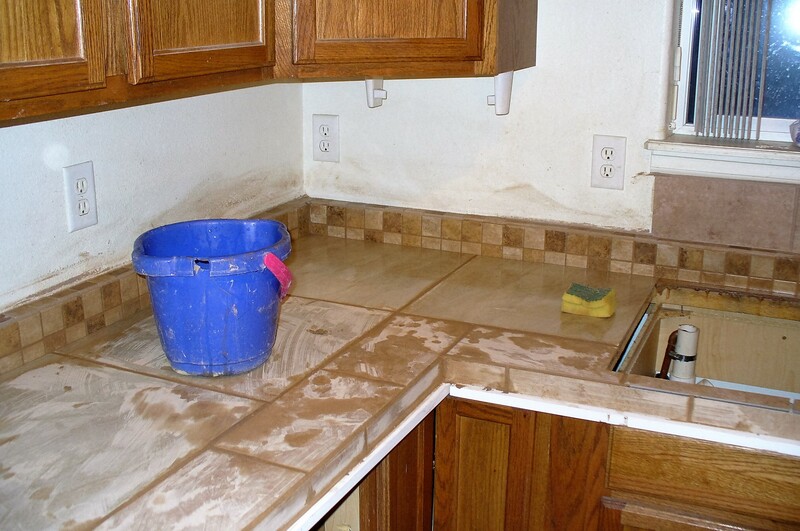 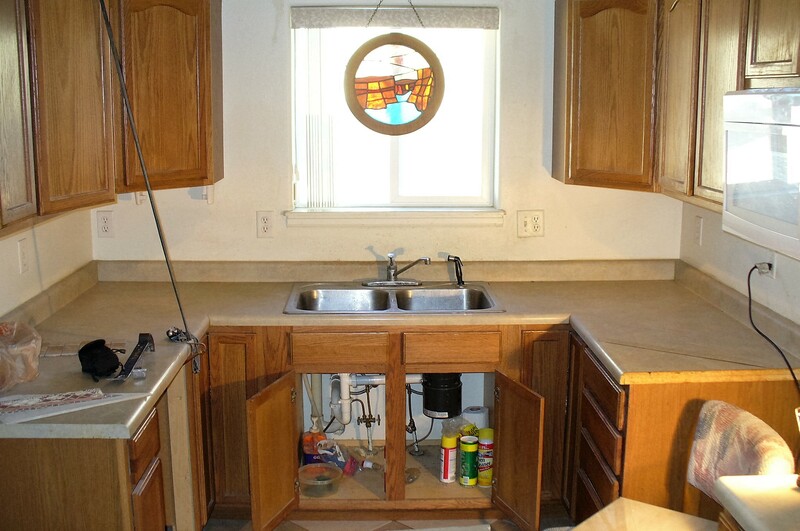 Then the kitchen counter-tops, back-splashes, window ledge, and enhanced sink and stove top back-splashes were added. 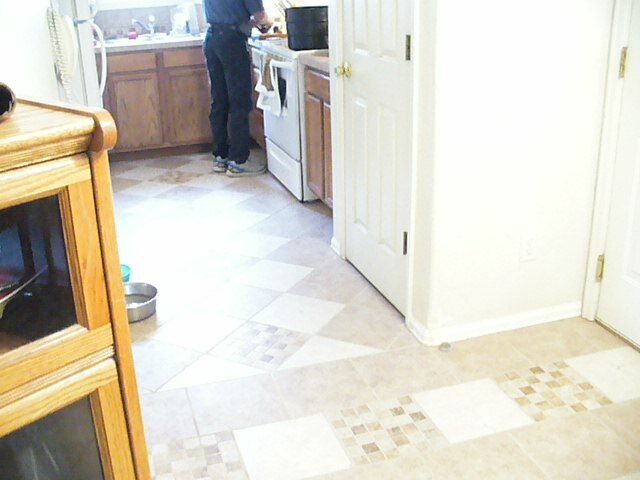 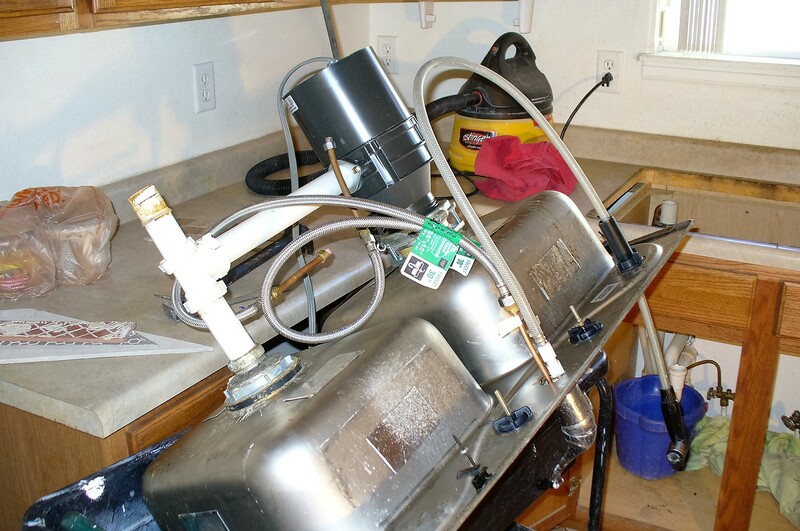 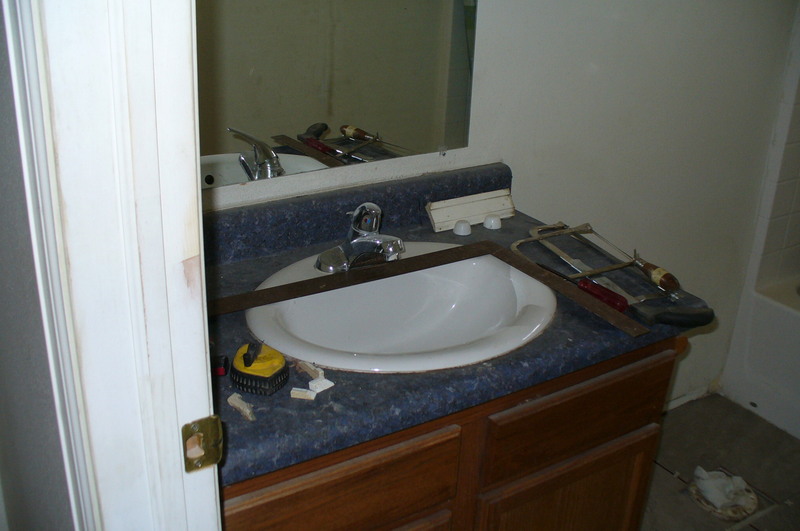 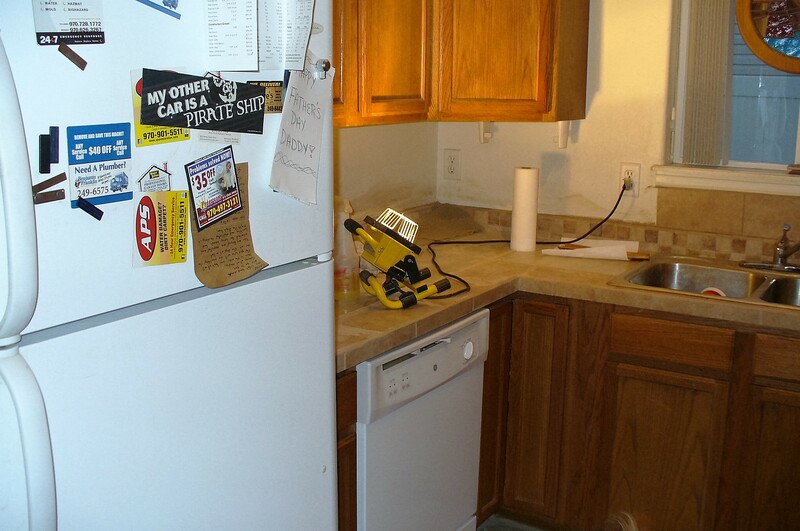 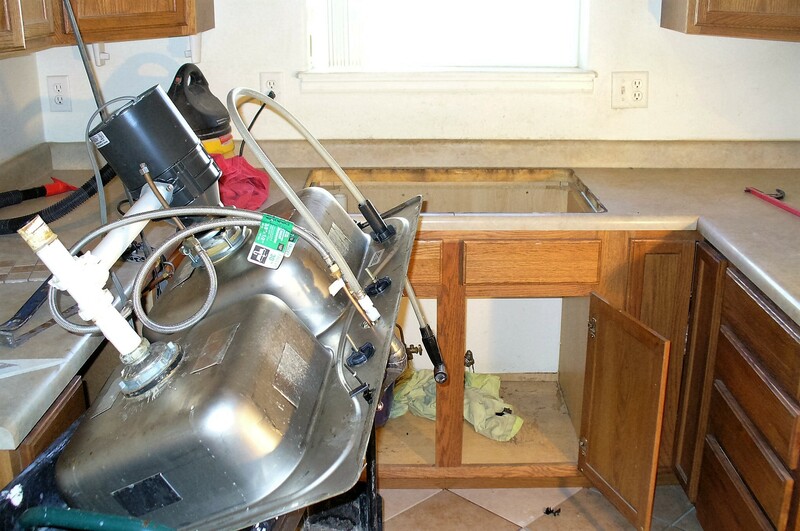 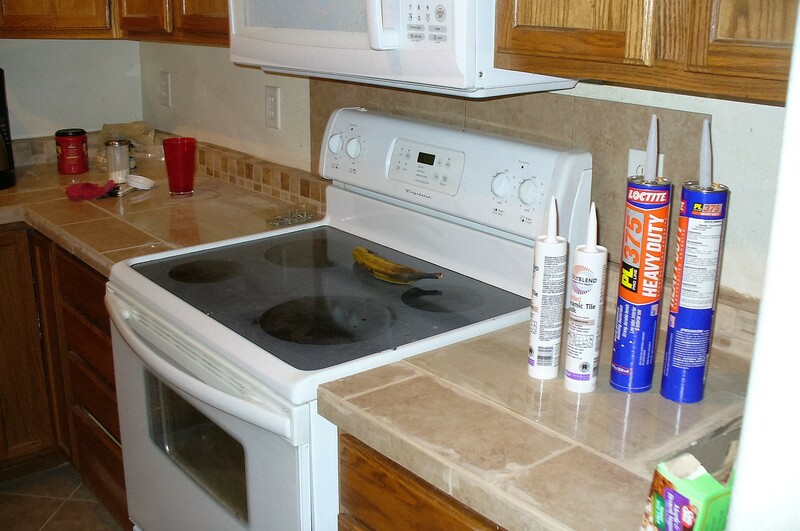 As is typical with this type of work, all appliances and applicable base molding were removed and replaced. 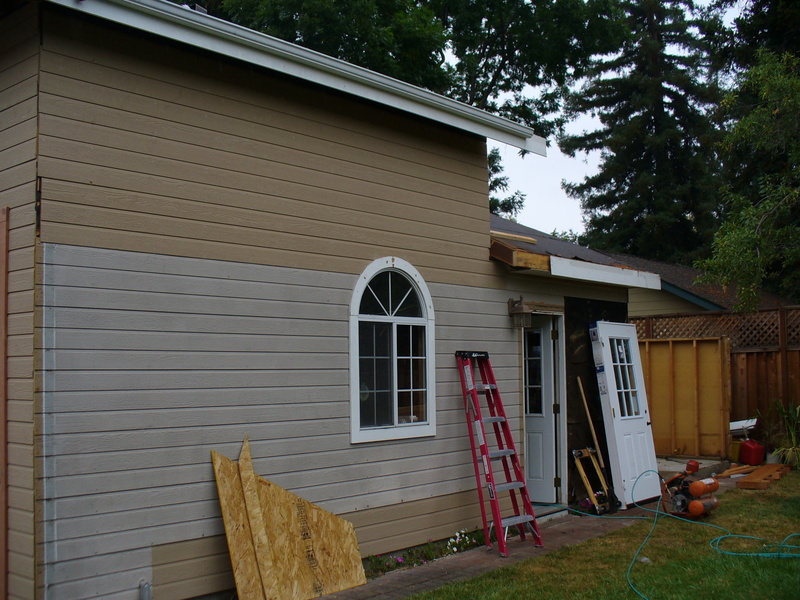 As this home had been left in poor condition by the previous owners, painting was to be done, and is not yet depicted here. 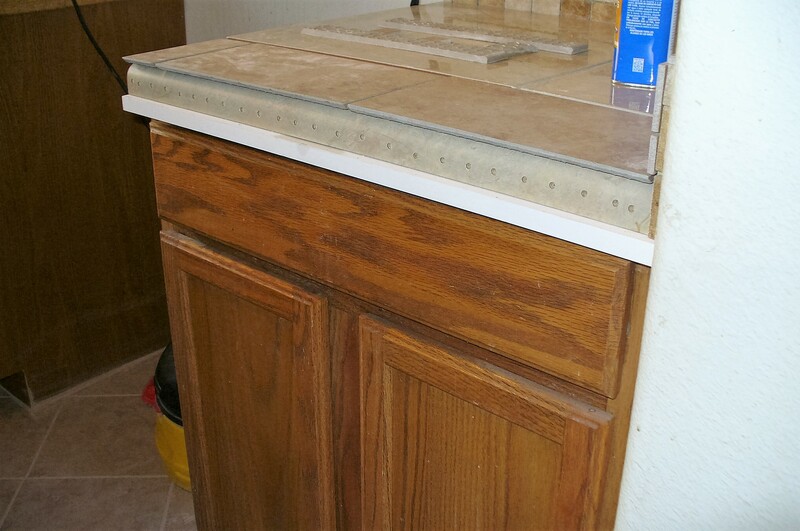 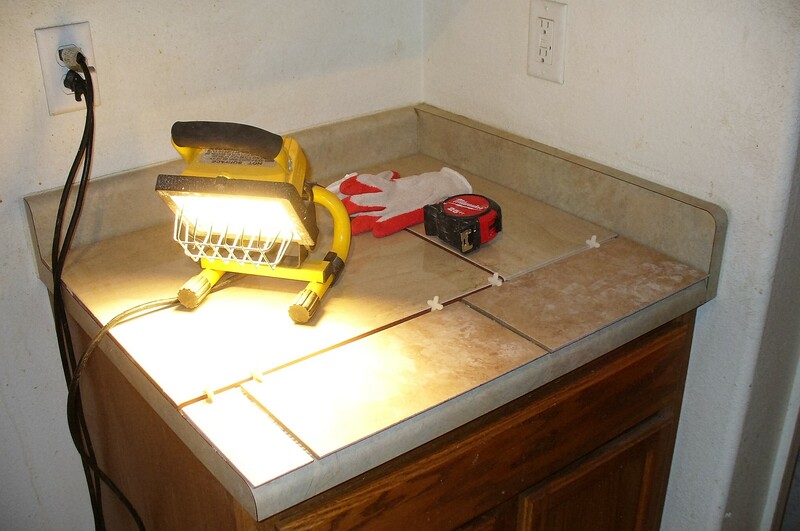 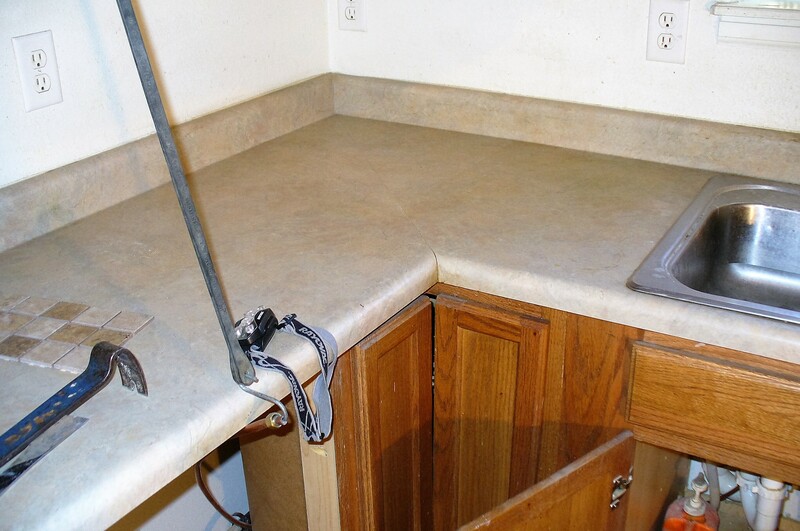 What is not typical and can be seen in the photos above, is that the existing kitchen counter-top and back-splash were overlaid, bypassing a big demolition mess and expense, as well as the cost of the materials and time to rebuild the counter.